I first started riding BMX when I was around 10 years old. I got it into it through my brother as he rode and so did all his friends. My mum and dad would take me out to the skatepark to watch him ride. It just looked like they were having so much fun and I wanted to be part of it. So after that day I begged my parents for a 16inch BMX for my 10th birthday and haven't looked back since! Kriss oppo walla to lookback in San Diego, photo Christian Rigal. I grew up in a small town called Stranraer. There wasn’t really much going on there but we had a rad wee crew of riders at the skatepark. The skatepark was small but really fun and we were lucky to have it. Probably Nowhere Fast or some Props videos. 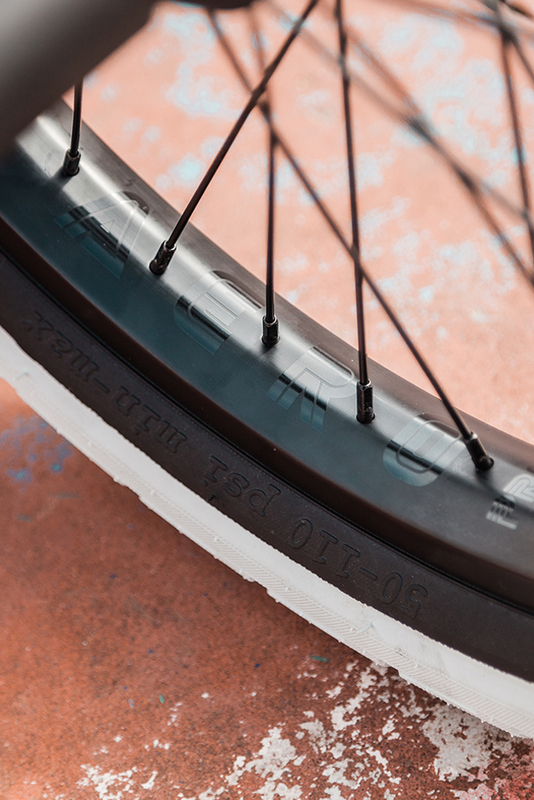 Wake up, feed the cats, grab some coffee and head out riding for the day. Come home around 7pm meet my girlfriend have dinner and go to bed. Then do it all over again the next day…. I still love watching Chase Hawk ride. 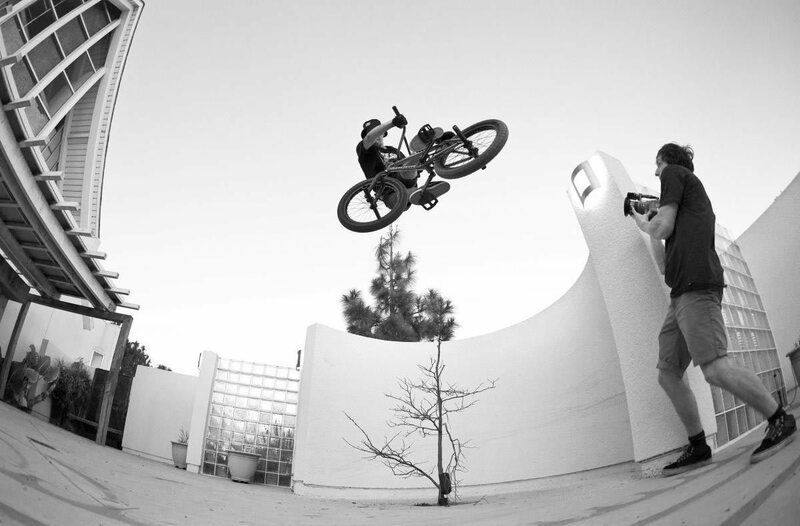 I love watching Dennis Enarson and Simone Barraco. Those guys kill it! What’s the scene at Unit like? The scene at Unit is unreal! Its such a tight bunch of friends. Its more like brothers than friends to be honest. Theres always something going on each day, nothing but smiles all round! Contests, I don’t mind them but I just prefer to go on filming trips instead. I feel like its a lot more fun for myself. Other than only flying somewhere for a weekend and not getting to ride very much. Don’t get me wrong though I still like going to contests but it has to be the right ones. You keep coming up with new stuff at Unit23 all the time. How do you manage that? I have no idea, I guess if you spend so long at one place your mind starts to make up new lines and you look at the park differently every time you go ride. 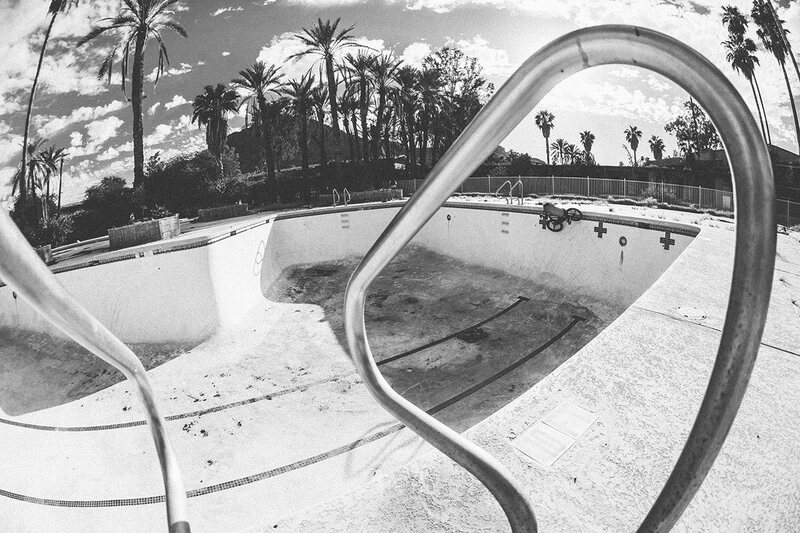 Kriss acid drop into an Arizonian pool, photo by Vincent Perraud. 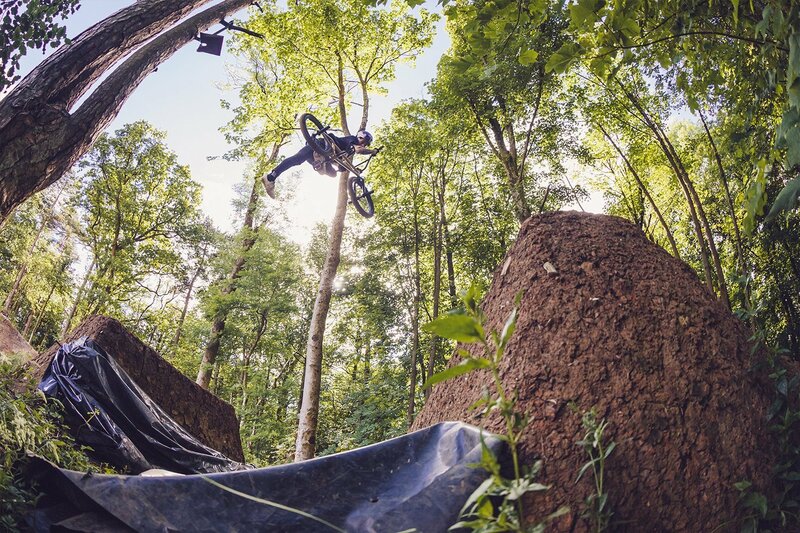 You have a creative approach to your riding. When coming up with stuff is your approach to riding park and riding street the same or does it differ? I think my riding is all the same in either street or park. I’m always looking to try and use the spot or skatepark to its full potential or come up with something different. I guess its just the way I ride really. My top secret Red Bull warehouse haha. Pretty much every tattoo I have tells a story. I will go through a few but i have so many now haha. 1. My first tattoo was ‘BMX’ on the top of my left arm. I was 14 years old. My older brother bought a tattoo gun to tattoo his mates. Of course I wanted in on the action and didn’t want anything else apart from the word BMX. I was so stoked and proud of it. The next day at school I showed everyone but I never showed my mum and dad. 2. On my right arm I have a half sleeve for Arizona. I went there while filming for the BSD Any Which Way DVD. It was by far one of the best and most memorable trips I have been on. 3. I got the BSD ‘Acid Face’ on my hand because BSD is more than just a bike sponsor to me. It’s more like friends and family. 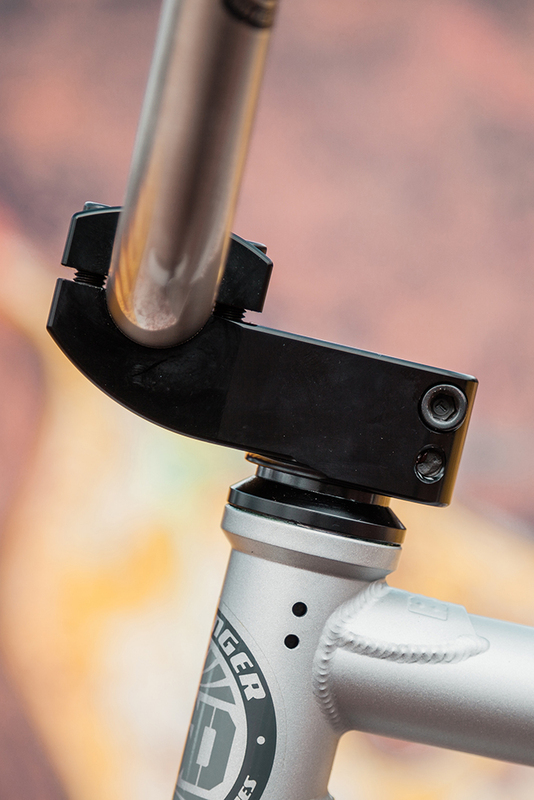 BSD was one of my first sponsors and were the first to help me travel. I first got put on BSD when I was 15 years old. Since then the amount of insane BSD trips I have been on is unreal, and they have all been amazing! I couldn’t see my life without them. 4. 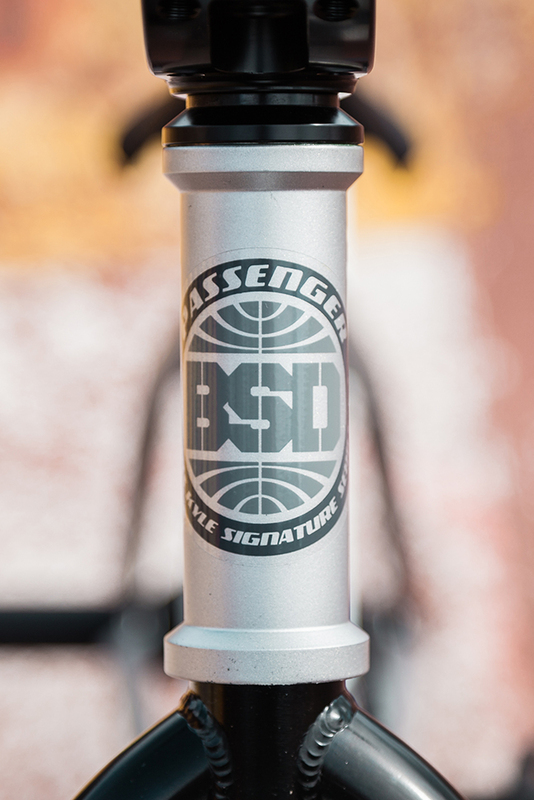 My signature BSD frame is called the Passenger. I thought it would be a really good idea to get it tattooed on me as you don’t get a signature frame everyday. I feel honoured to have been given the opportunity to have one. I couldn’t be happier with it. I called it the Passenger because I’m always the passenger flying round the world, travelling to exciting countries in the passenger seat. Out the back of Unit 23. 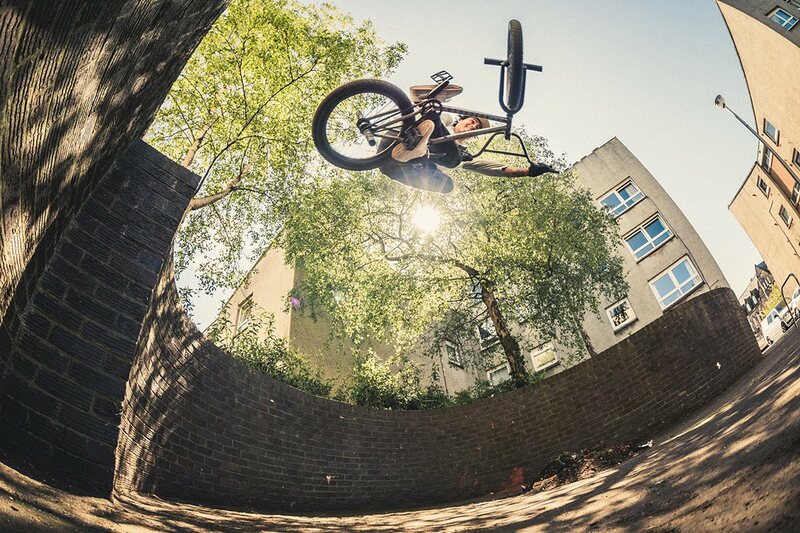 Photo by Dave Sowerby. My worst habit is waking up too early on trips and making the crew get up and head out as early as possible. Early morning, early nights, BBQs, G&Ts, and all round good laughs and good vibes! Tell us one classic Dan Paley story? Hahaha there’s too many. He left his passport on the train once. We got the train from Athens in Greece to the airport. As we got off at the airport stop he somehow managed to leave his bag with passport and all his belongings on the train. I have never seen someone so angry/freaking out before in my life! He nearly missed his flight but somehow got his bag and passport and just made the flight haha! China, New York and Hawaii. You are super productive when it comes to filming for edits and putting out Intsagram clips daily. Does being so motivated come naturally? I guess so, I just want to ride all day everyday. Its the last thing I think about at night and the first thing I think about when I wake up. I’m totally blown away to have such an honour of getting a signature frame. I would never of thought I would of got one in a million years! So stoked to actually get to ride what to me is my dream bike.